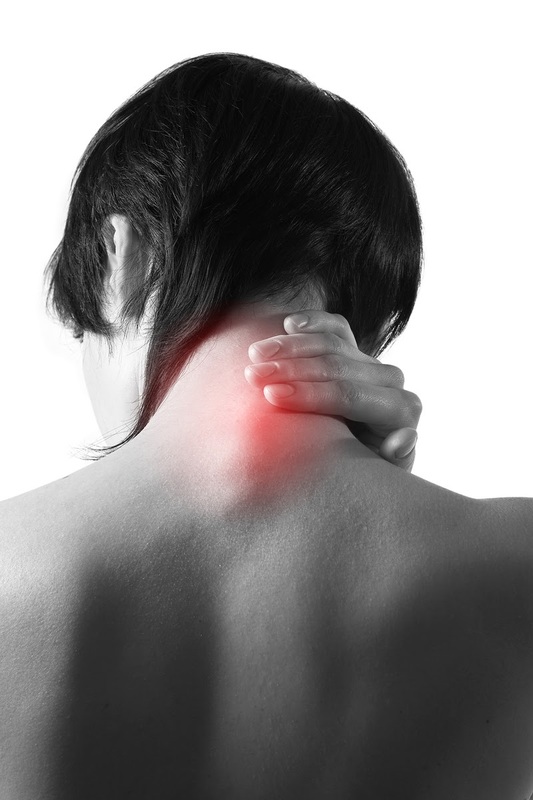 Here are the possible causes of neck pain , classified into five categories. You can open the article of each cause to view by clicking its link . These are the possible causes and differential diagnosis (DDx) of recurrent arthritis (transient arthritis) and oligoarthropathy . These are the possible causes and differential diagnosis of a case of Monoarthritis . - Muscle spasm due to fracture. This is the possible differential diagnosis (DDx) of a patient complaining of pain in his Neck . You can click the linked disease name to read the details . This article is to discuss Fibromyalgia (fibrositis) regarding its definition, causes, clinical picture (symptoms and signs), Diagnostic features and treatment approach . • Fibromyalgia (fibrositis) is a controversial diagnosis that is not universally accepted. It is a useful diagnosis of exclusion. • It is characterized by chronic diffuse pain with characteristic tender points. It is considered as a non-articular rheumatism. • All investigations are normal and the value is for exclusion. The condition is poorly understood, two abnormalities have been reported: sleep abnormality and reduced threshold to pain at certain sites. It is a rare inherited disorder of collagen (autosomal dominant), characterized by brittle bone and abnormalities of the skin, tendon, teeth and sclera. 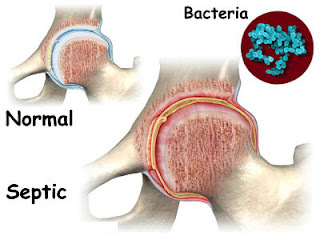 This is a discussion of Osteoporosis regarding its definition, aetiology, types, pathogenesis, risk factors, clinical picture (symptoms and signs), diagnostic investigations, methods of prevention and treatment approach . What is meant by Osteoporosis ? • It is defined as a decrease in the absolute amount of bone mass leading to enhanced bone fragility with increased risk of pathological fractures. 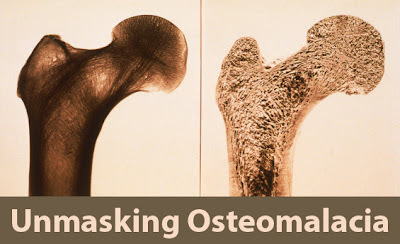 • Unlike osteomalacia, the defect in osteoporosis is that the bone that is present is normally mineralized but is deficient in quantity, quality and structural integrity. • Bone mass increases rapidly up to the age of puberty and rises slightly more in the twenties and thirties and then begins to decline around age of 40 years. • In males there is a gradual decline but females show an accelerated loss in the 10 years following the menopause. • Osteoporosis occurs as the end result of many years mismatch between the rate of bone resorption and bone formation . Here is a discussion of Osteomalacia regarding its definition, causes, pathogenesis, clinical pictures, investigations and treatment . • Osteomalacia is characterized by defective bone mineralization, bone pain, muscle weakness and pathological fractures. • There is failure to replace the turn over of Ca and P in bone matrix ===> bone become demineralised and the bony substance becomes replaced by soft osteoid tissue so it is mainly a qualitative bone defect. The most common cause is vitamin D deficiency, the low levels of vitamin D causes a reduction of calcium absorption from the intestine. calcium loss from bone and phosphate depletion that leads to impaired bone mineralization . Here is a discussion of Septic arthritis regarding its aetiology, Risk factors, symptoms, signs, diagnostic investigations and treatment approach . This can accompany bacteraemia or septicemia, the most common organism is staphylococcus aureus. It is a medical emergency as it leads to severe joint destruction within short time. • Haemophilus influenza and other Gram negative bacilli. • Pre-existing joint disease e.g. 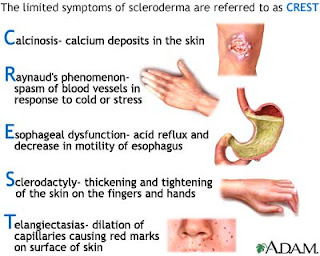 rheumatoid disease. 2- Painful swelling usually in one large joint. 3- Signs of inflammation (redness, hotness, tenderness ± effusion). What is meant by Neuropathic joints (Charcot's joints)? • They are joints damaged by repeated trauma as a result of the loss of the protective pain sensation. • Tabes dorsalis especially in the knees and ankles . • In diabetes mellitus (tarsal joints). • The joints are swollen with abnormal painless movement; they are liable to crystal deposition. • The treatment is symptomatic, Surgery may be required . This article is to discuss Osteoarthritis , ( synonym : Degenerative Arthritis Or osteoarthrosis Or degenerative joint disease ) regarding its definition, risk factors, pathology & pathogenesis, classification (types), Clinical picture (symptoms and signs), diagnostic investigations and treatment approach. 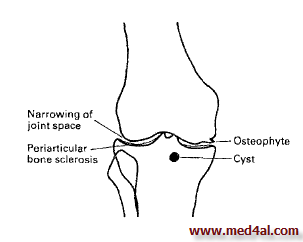 • Osteoarthritis (osteoarthrosis) may be primary or secondary. Usually it is the end result of a variety of pattern of joint failure. • It is characterized by degeneration of articular cartilage with simultaneous proliferation of new bone, cartilage and connective tissue leading to remodelling of joint contour, inflammation of synovial membrane is minor and secondary. 1- Matrix loss is due to release of proteases and collagenases. The interleukin I and TNF are the mediators of these catabolic effects, also these cytokines leading to synovial inflammation. 2- Growth factors e.g insulin like growth factor and transforming growth factor are involved in stimulating collagen repair and production of the over growth at the joint margin (osteophytes). It is a crystal deposition of calcium pyrophosphate dehydrate (CPPD) in cartilage (chondrocalcinosis). It is a common age associated phenomenon (>55) that particularly targets the knee . It is idiopathic, it can occur with certain metabolic diseases e.g hemochromatosis, Wilson's disease, hyperparathyroidism and chronic renal failure patients under regular hemodialysis . • Male = Female, old age. 2- Pseudo-rheumatoid arthritis with polyarthritis for months. This is an approach to diagnosis and treatment of Gout , in which we are going to discuss the investigations, differential diagnosis and treatment of the disease . • Aspiration of tophi : urate crystals (by polarized microscope). • Uric acid in urine > 1100 mg / 24 hours = overexcertion. Normal serum uric acid does not exclude the diagnosis of gout. •In early disease -7 Normal, but narrowing of joint space with sclerosis may develop with time. • Gouty erosions (bony tophi) occurring as para articular punched out defects with well defined borders. • Tophi: eccentric soft tissue swellings. • Idiopathic, 10-20% of patients with primary gout. (Hypoxanthine - guanine - phosphoribosyl -transferase) which is essential for reconversion of guanine, hypoxanthine into their mother substance so this enzymatic defect ===> accumulation of uric acid. • Glucose 6 phosphatase deficiency. • Idiopathic under excretion (Isolated tubular defect), more than two thirds of individuals with primary gout. • It is chiefly a disorder of adult Male 5 % in Female . 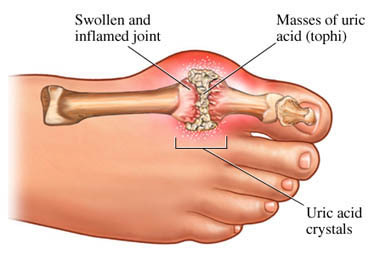 • Gout is uncommon before 3rd decade. 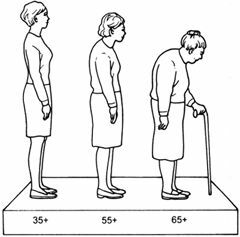 • Peak of onset in Males (45 years) usually after 20 - 30 years of sustained hyperuricemia, and in post menopausal females above 60 years. refers to elevation of serum uric acid prior to the development of arthritis. Probably 95% of hyperuricemic subjects never develop gout. • There is painful arthritis. - Ankles, wrist, heels, finger, knee, elbow. - Trauma .- Surgery - Ingestion of alcohol- Exercise - Diuretics. • Minority of patients showing acute gout with normal serum uric acid. 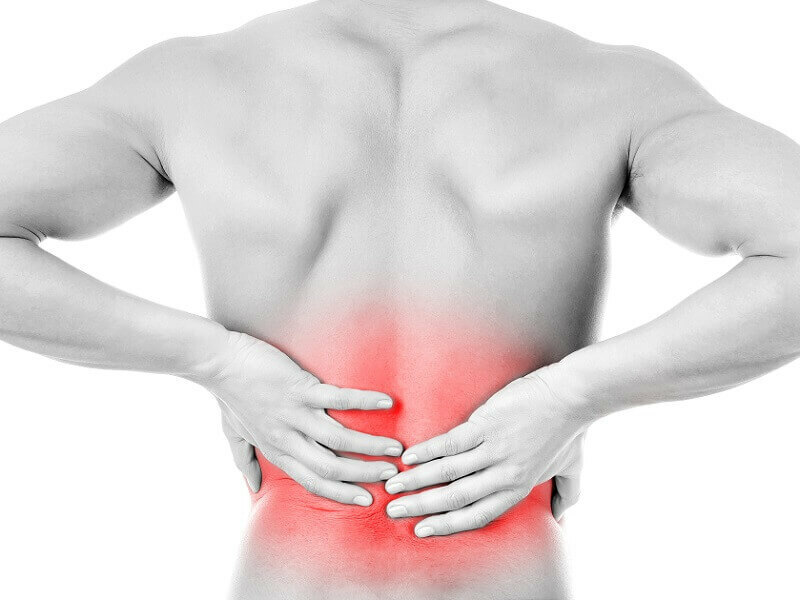 • Dramatic relief of pain with colchicine is suggestive. • In severe attacks, overlying crystal cellulitis makes gout difficult to distinguish clinically from infective cellulitis . • The typical attack is rapid onset reaching maximum severity 2-6 hours, often waking the patient in the early morning, it is self limiting over 5-14 days. Milder episodes for few days called peptite attacks. • There is ++ temperature,++ TLC , l' ++ ESR. • Intercritical periods are asymptomatic periods between attacks. • Diagnostic criteria of Behcet's disease ? - Recurrent oral ulcers, at least three times in a 12 month period. - Skin lesions e.g erythema nodosum. Oligoarthritis, thrombophlebitis and neurobehcet (multiple sclerosis like) may also occur. - It is of gradual onset. - Renal affection is rare. 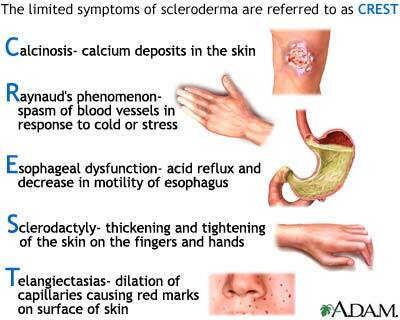 - It is a subtype of systemic sclerosis (Scleroderma) , without skin manifestations . - C : Calcinosis cutis . - R : Raynaud's phenomenon. - E : Esophageal dysfunction. There is minimal visceral involvement, positive anticentromere antibodies.